Editor’s Note: This article was originally published in January 2018 and has been updated regularly for freshness, accuracy, and relevance. Do you attend SEO webinars? If you don’t, it’s time you reconsider. SEO webinars provide a wealth of information not just for beginners, but also for SEO veterans. Best yet, most of the webinars include hands-on tutorials and walkthroughs on how to boost your website’s SEO and rank higher in search engine result pages (SERPs). To make it easier for you to keep track of all the webinars in 2018, we’ve compiled a list of the best SEO webinars. The list was first created in January 2018, and since then has been updated on a regular basis to accommodate past and upcoming SEO webinars. A majority of these webinars are organized by SEMrush, so you can also head over to the webinars section of their website to check out all the past and upcoming webinars they’ve organized this year. 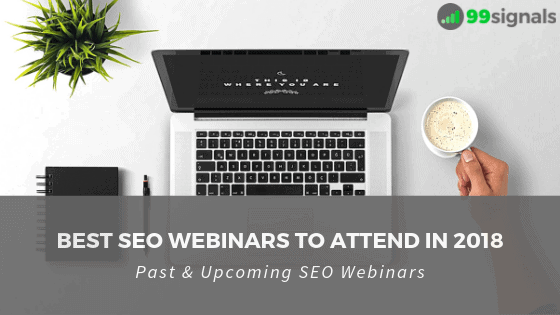 Rest of the webinars in this list are from renowned SEO and content marketing brands such as Search Engine Journal, BrightEdge, and Content Marketing Institute. We’ll be doing a webinar with SEMrush as well and you can find details of the webinar below. So without further ado, here are some of the best SEO webinars you should check out in 2018. Webinars, email lists, guest posting, launch a podcast. The online world is full of people giving you advice for how to grow your affiliate income, and while many of them are fantastic channels they often miss the big one – how to generate a consistent audience of website visitors who can buy what you recommend. In this SEMrush webinar, John Doherty, founder of GetCredo, will show you how to identify the keywords that you can specifically target to help you drive audience and revenue, and even feed into the other affiliate strategies that so many talk about. Building high-quality links is never easy. You need to know which websites to target, what type of content to offer, how to reach out to your prospects, and a whole lot more! The process can be difficult to understand especially for beginners in the SEO field. Want to shorten your link building learning curve and start getting results like the pros? 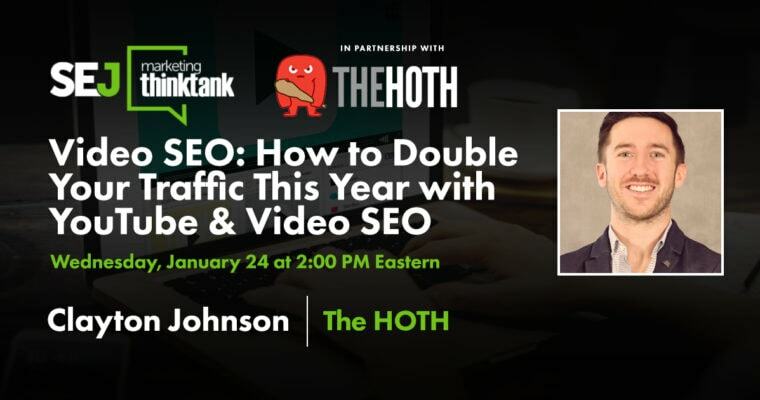 Join this SEJ & ThinkTank webinar and learn the top mistakes that in-house SEO professionals make when building links and how to avoid them. Future proofing your backlink profile. Earning any SERP feature will gain your website visibility, credibility, or both. This webinar will show how SMBs can influence and change these key search result features. You will learn how to add features to your Knowledge Panel and the organic results on Google that will help boost your reputation, increase your click-through-ratio and significantly increase the website traffic. Google is evolving rapidly into an answer engine, aiming to offer one single, objectively “correct” result for a given user in a given situation at a given time. The SEO industry must adapt its focus to account for this fundamental change in approach by Google, Bing, and Alexa, but also face up to the accelerating rate of change smart machines bring to the search landscape. This is the first episode of the epic series (5 seasons, 15 episodes) hosted by Jason Barnard. Guests for this episode are Barry Schwartz, Craig Campbell, and Andy Drinkwater. 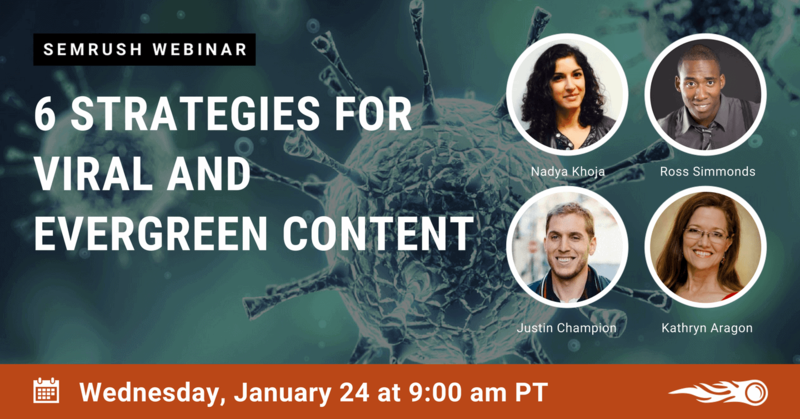 This SEMrush webinar will answer many questions about the state of affairs, identify the challenges facing the industry and set the scene for the rest of the series. Great outreach builds friendships. Bad outreach hurts your reputation. 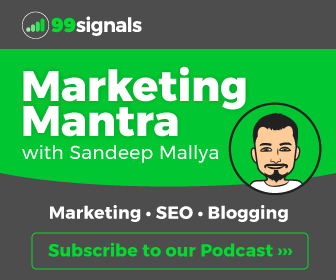 Listen in as Neal Schaffer and Andy Crestodina discuss practical tactics and tell real-life stories, from both sides of influencer marketing. One hour after signing in, you’ll be filled with ideas and examples of how to find and connect with the influencers that can power your marketing. Affiliate marketing is perhaps the most popular and effective way to monetize your blog. It can not just help you gain passive income, but also help you build meaningful relationships with some of the top brands in your niche. 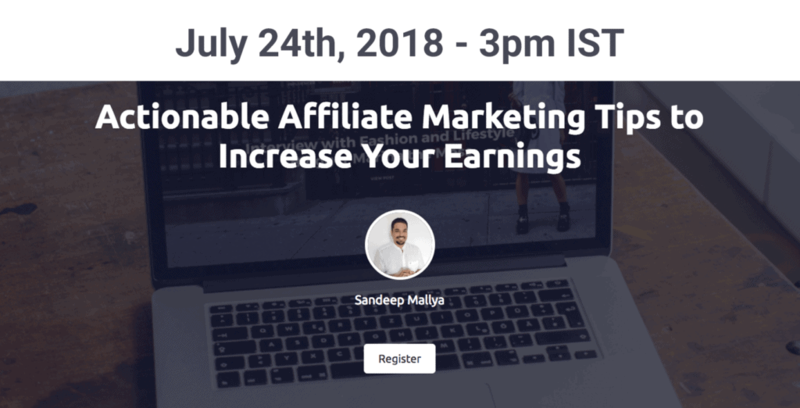 In this webinar, Sandeep Mallya, Founder of 99signals and Startup Cafe Digital, will talk about his own experience with affiliate marketing and share actionable tips to grow a steady affiliate income from your blog. 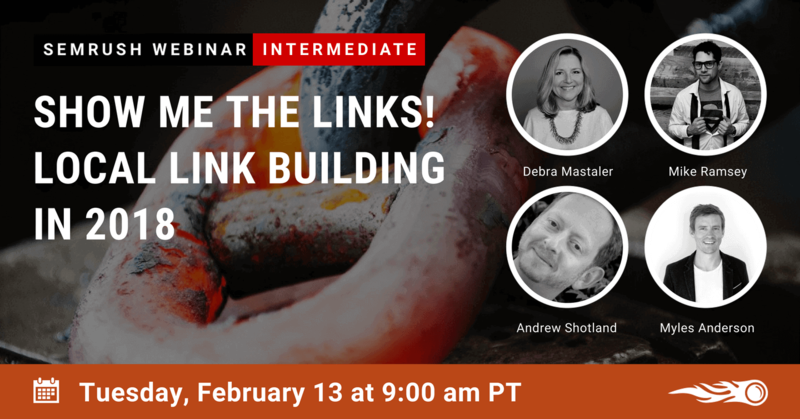 This webinar will cover which tools are free or low cost, discuss how to maximize your link development budget, and explore ways to create great content and push it to the right people without breaking the bank. The next episode of a popular series hosted by Julie Joyce. No presentations, panel discussion. Open for all public questions! Smart marketers work with influencers to increase visibility. But genius marketers add media partners to the mix to get far greater reach. Lee Odden comes to share this approach in this webinar. Lee will explain how influencers fit within digital PR and how a media partner can multiply your results, in social and ultimately, in search. The future of search is at an exciting time right now. With 50% of searches predicted to be voice by just 2020, Kevin Gibbons will share some of the recent trends and experiments that he has been involved in to make sure that you can be at the forefront and capitalize on the huge potential of voice. The webinar will be hosted by David Bain and the panel discussion speakers will include Kevin Gibbons from BlueGlass, Purna Virji from Microsoft and Nick Wilsdon from Vodafone. Faceted navigation, also known as filtered navigation, is a great way for e-commerce sites to empower their users to find the right product. However, it can be a nightmare for search engines to deal with, if it’s not handled properly. In this webinar, Barry Adams will show real-world examples of faceted navigation done right, and highlight some of the most common pitfalls and how to avoid them. You’ll learn how to configure a faceted navigation solution that works for both users and search engines and helps drive relevant organic traffic to your website. 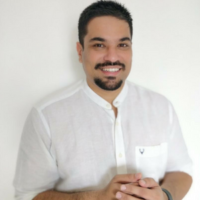 This is a 4-part webinar series organized by BrightEdge which aims to take your knowledge from beginner SEO to advanced technical SEO. These webinars will be conducted between June 27 to August 8. Click on the button below for more details and to register for all four webinars. Internal links can help shape your site, tell Google which are your most important pages and allow you to have more control over the sitelinks that appear in the SERPs. Wondering how to maximize your internal link power? Curious about the role internal links play in a better user experience, more traffic, and better rankings? Tune in to hear from Andy Drinkwater, David Cohen, and Moosa Hemani. The higher the authority of your domain and pages on your domain the easier it is to grow your traffic. If you just had 90 days to build that authority what would you do? 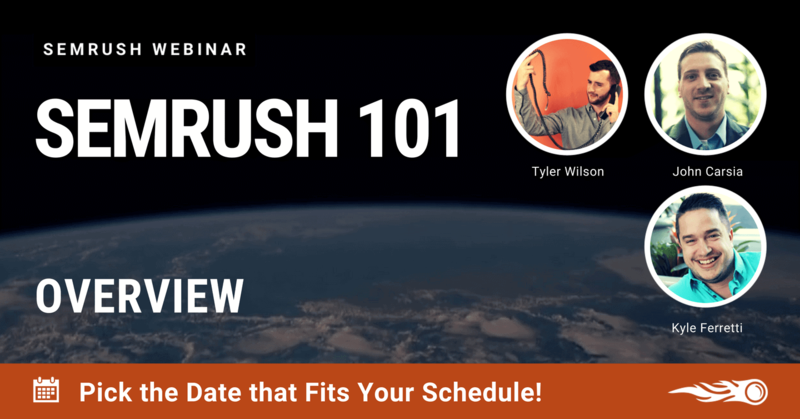 In this webinar, the SEMrush team goes through a brief presentation followed by a discussion with some SEO and traffic experts on steps you should take. You’ll walk away with a list of practical tips you can implement in your business to increase authority and traffic. SEO is complex enough when implemented in a single language, but entering foreign markets and doing international SEO adds further challenges that can make the pursuit prone to missteps. In this webinar, the renowned international SEO experts, Bill and Motoko Hunt, discuss how international SEO disasters can be prevented by identifying the common challenges practitioners often encounter. Wouldn’t you love to see an in-depth case study where someone builds a ton of awesome links and also manages to boost their traffic? Scalable link building is hard enough. You need to pinpoint the right audience and deliver authoritative content to meet their pressing needs, and then earn enough such links to make a dent in your goals. And, as if that weren’t enough, you also want to see sustained positive effects on site visits over time. Seem impossible? It’s not! This webinar will show you how! In this SEJ webinar, North Star Inbound’s founder Nicole DeLeon offers advice on how to leverage white hat link building to improve your backlink profile as well as earn traffic. This is 5th episode in the SEMrush series “Show Me The Links”. What makes a link bad? Bad, toxic, spammy, irrelevant you name it. 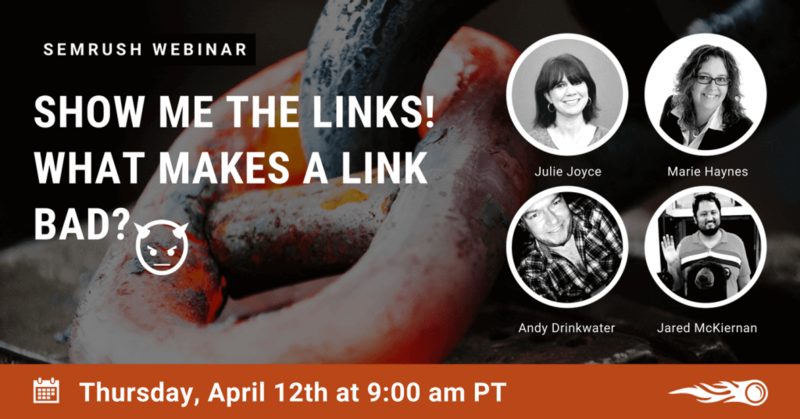 The webinar discussion revolves around bad links, whether you need to take action, and what to do about them. Business owners rely on web-design firms to build their websites and help manage their online presence. Both owner and designer can evaluate the visual appearance of a site; the technical side of a site is a different matter. Here there is a large gap between the business owner’s knowledge and that of the designer. For the most part, technical elements are hidden from view. Though hidden, they have a great impact on a website’s health. 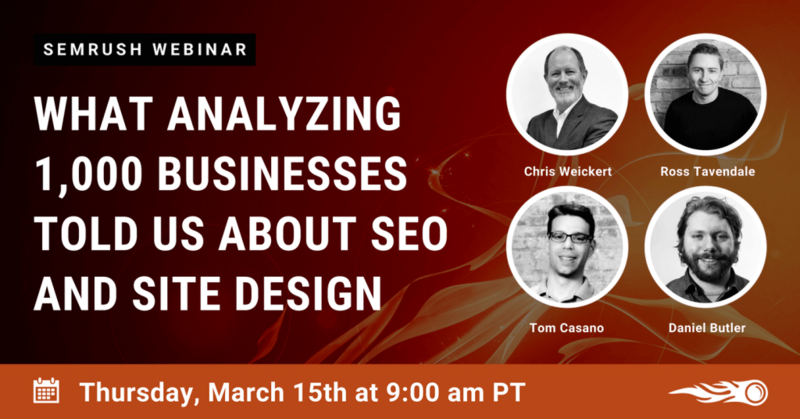 Chris Weickert recently published a research study on this issue, Tom Casano is an SEO-guest and Daniel Butler (Technical Director of The Bannermen) will cover web designers’ angle. By now, just about everyone recognizes the importance of generating high-quality content that customers want and need. However, too many brands are still making one critical mistake: they’re assuming that just churning out loads of content is enough. Did you know that more than 60 percent of all content is never used, viewed, or downloaded? Let’s face it: Content only has value if audiences can find and consume it. And ideally, they should care about it, too. The best content marketing strategy can only go as far as content amplification efforts will take it. But how do you increase your brand’s reach and encourage your audience to engage and move seamlessly through your marketing and sales funnel? In this webinar, Christopher Hart and Corinne Schmid of ScribbleLive share the fundamentals of content amplification and audience engagement. These SEMrush tutorial demonstrations are conducted in the style of a typical webinar and are designed to help current and prospective users of SEMrush alike navigate, understand and leverage our data in order to maximize your return on investment. There are many challenges for content marketers when it comes to planning and writing, which is why SEMrush has an all-in-one toolkit for content marketers. 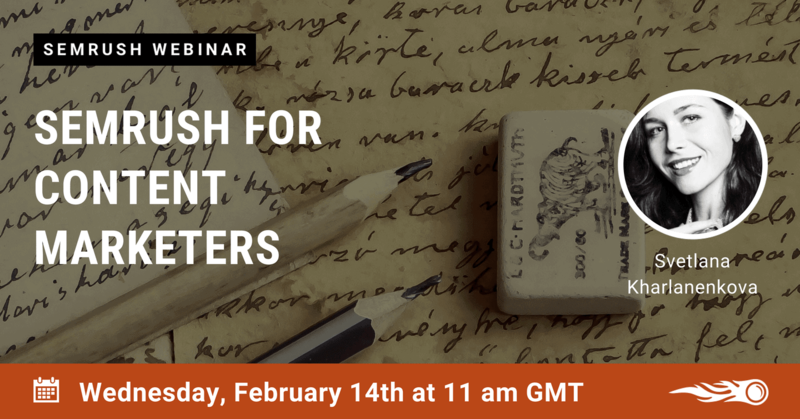 To make sure you get the most out of SEMrush’s content marketing tools, the team is holding the webinar ‘SEMrush for Content Marketers’ to guide you through several steps of content marketing workflow. Measuring content performance and adjusting your content strategy. Don’t miss the opportunity to beef up your content marketing workflow with SEMrush tools! 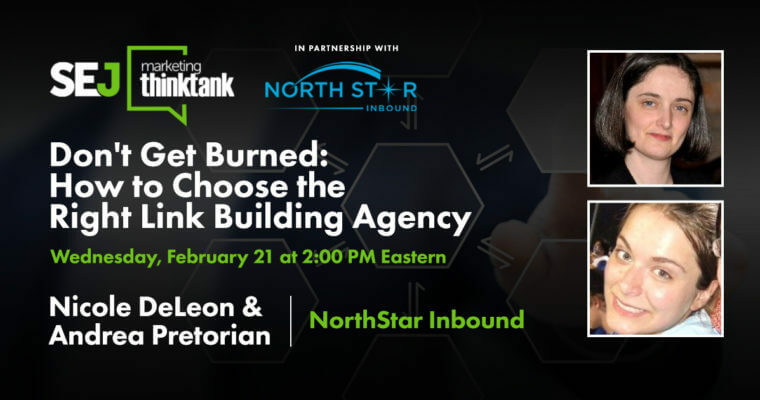 On February 21, SEJThinkTank webinar will feature Nicole DeLeon and Andrea Pretorian of North Star Inbound who will share insights on what to look out for when vetting and working with a link building agency. Link building, in general, is hard but building local links has its own set of challenges. Are reviews being used to determine local rank? Is any link a good link provided it’s from a site close by? Which local linking tactics should you invest time and money in? 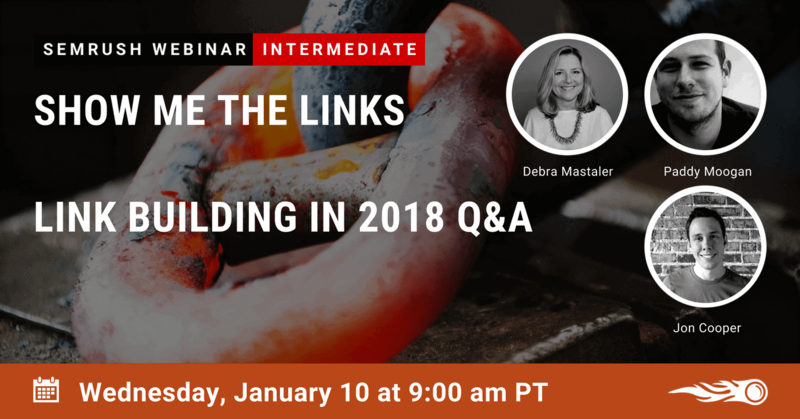 Debra Mastaler will be joined by Andrew Shotland (Founder and CEO of LocalSEOGuide.com), Mike Ramsey, and Myles Anderson (Founder & CEO of BrightLocal.com) to answer these questions and more on Local Link Building in 2018. Content marketers understand the power that great content has to pull in an audience and grow a business. But when you’re faced with a blank page and a big goal for the reach of your next content campaign, it can be hard to know where to start. In this session, Nadya Khoja discusses 6 principles and guidelines for creating contagious content that grabs attention, grows your brand, and expands the top of your marketing funnel. 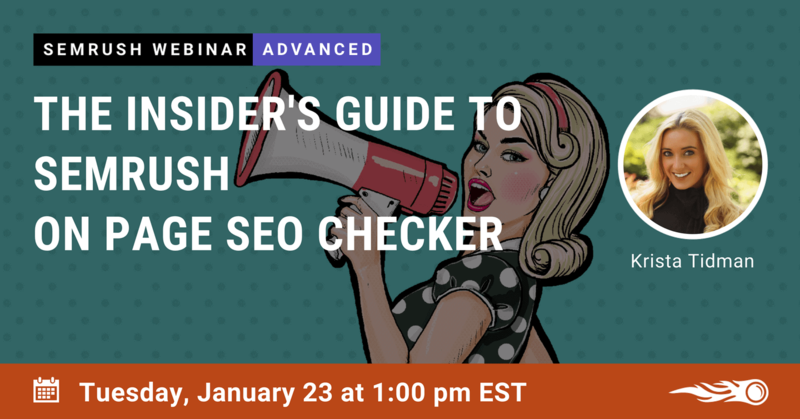 In this webinar, Krista Tidman (Customer Success Manager at SEMrush) will be showcasing the On Page SEO Checker tool on SEMrush. If you are new to SEO or just looking for a deeper understanding of how SEO actions can help your website, this tool will become your new best friend! Learn everything you need to know about how Google’s new mobile-first index may affect the way you build links. Content & SEO are constantly changing, and if you’re planning to have a killer 2018, it never hurts to cultivate a little foresight. Every content strategy should have a video SEO plan in place. If you don’t have one yet, you’ll be missing out on a huge source of traffic in 2018. This webinar will help you fix just that! In this webinar, you’ll learn how you can fully leverage high-quality video content to boost your marketing efforts, engage both leads and customers, and improve your organic traffic. 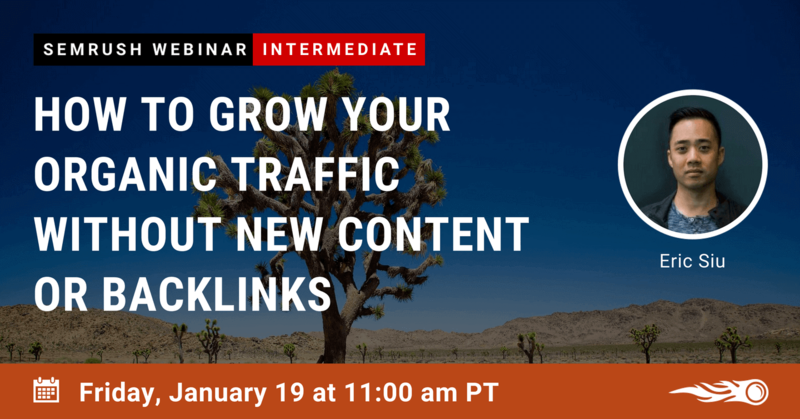 In this webinar, Eric Siu (CEO of digital marketing agency Single Grain) will show you how you can realistically grow your organic traffic without having to acquire more links or writing a bunch of new content. 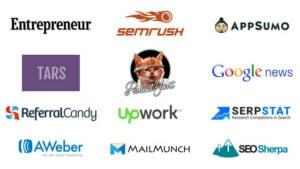 This list will be updated as and when we learn about the latest (and interesting) SEO webinars. So be sure to bookmark this page! Hi, thanks for putting together this list, I was totally unaware that these webinars existed as well as being unaware that you could watch past webinars online. I spend a lot of time looking for tutorials etc on SEO so this is a great find. I will be watching my first one after finishing this comment. Thanks, Mike. Glad you found the list useful.